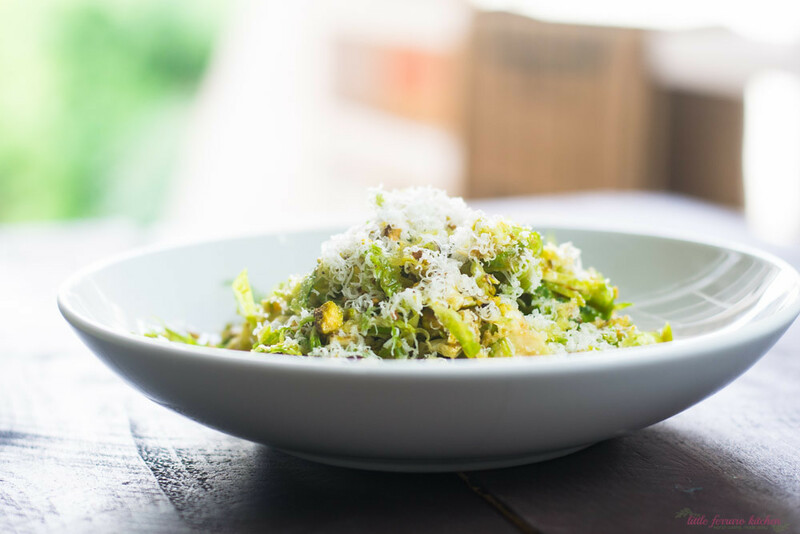 Brussels Sprout Salad with Pistachios and Pecorino makes for an elegant holiday side dish. The lemon Dijon vinaigrette gently wilts the sprouts and a coating of salty Pecorino cheese is added, rounding out all of the delicious savory flavors. My favorite little green cabbages are finally in season. I always keep it simple with brussel sprouts. Last year (and every year), I am in charge of the roasted brussels sprouts with garlic and lemon zest for Thanksgiving. 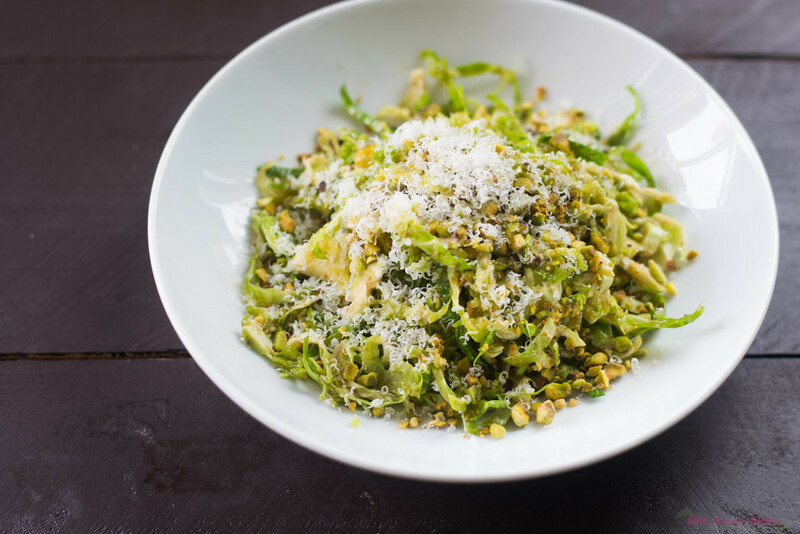 This year I wanted to play up the raw card and create a brussel sprout salad with earthy pistachios and sharp pecorino. Sounds lovely, yes? I have been eying pecorino cheese for sometime but hesitated after hearing mixed reviews. “It’s too strong” or “too overwhelming”. 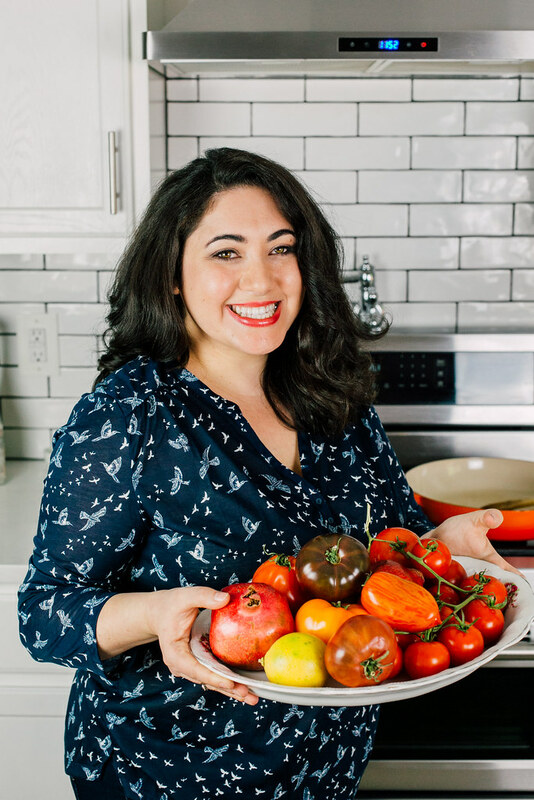 I think we all are so used to Parmesan, which is not a bad thing, in fact, I have been known to eat my weight in small pieces standing over the kitchen sink (don’t judge), but there are so many other beautiful Italian cheeses that we need to experience. A sheep’s milk cheese, pecorino is much sharper and saltier than it’s known cousin. A little goes a very long way and adds the perfect sharp bite to a rustic shaved salad. You have 2 options. Make it and serve right away. Or make it and allow it to sit for a few hours. The dressing slowly wilts the sprouts and the bright flavors blend together. It won’t be as “fresh” and green as firstly chopped, but the texture is still there and I think tastes even better as it sits. So are you team pecorino or Parmesan? 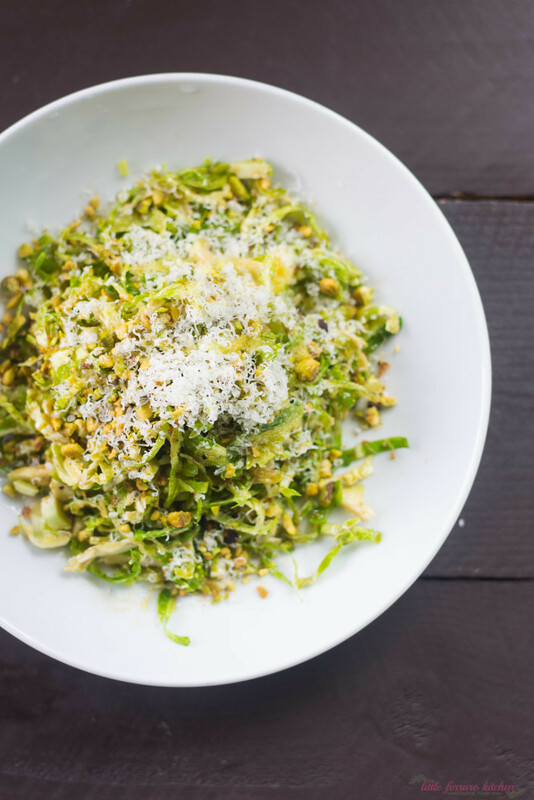 Brussels Sprout Salad with Pistachios and Pecorino makes for an easy and elegant holiday side dish. 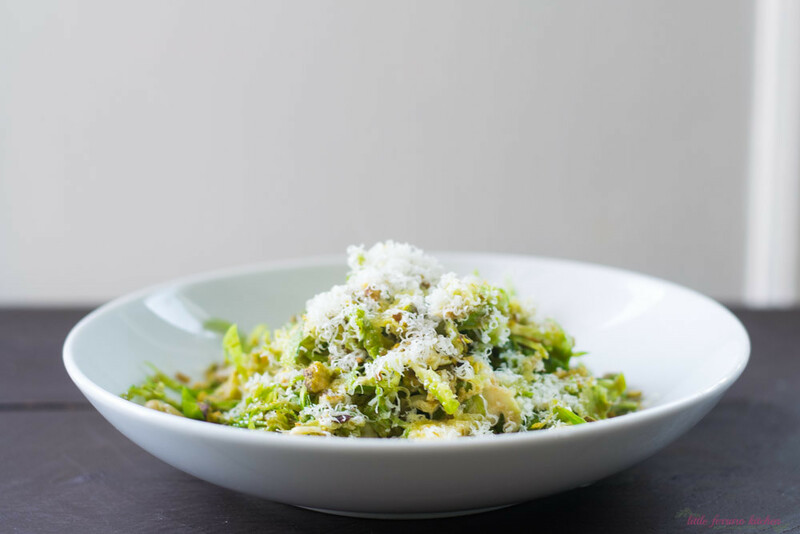 The lemon Dijon vinaigrette gently wilts the freshly shaved sprouts and a healthy coating of salty Pecorino cheese is added, rounding out all of the delicious savory flavors. First make the dressing. Combine all vinaigrette ingredients in a mason jar and shake vigorously to combine. Or you can whisk everything together in a bowl. Set aside. To shave brussel sprouts, cut the stem off and cut them in half, discarding any tough outer leaves. . Use a sharp knife and thinly slice the brussel sprouts into thin shavings. Add 3-4 tablespoons of vinaigrette, 3/4 of the pistachios (saving some for garnish) and most of the shaved cheese (saving some for garnish). Toss everything together gently and allow to sit for a few minutes so dressing can absorb. (You can also let it sit for a few hours if you're not worried about wilting). Plate salad in wide bowl and garnish with more Pecorino cheese and pistachios. This looks wonderful! I’ve never tried brussels sprouts raw! Thank you!! Let me know when you do!